Mildred Walker Snead, 92, passed away on Saturday, February 3, 2018 at home with her family. 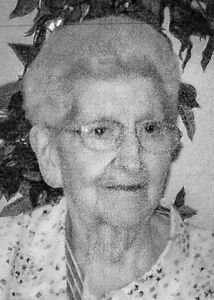 She was born and raised in Fayette County and was a loving mother and grandmother. Mildred was preceded in death by her husband of 67 years, Johnnie Buford Snead; their infant daughter, Jacqueline; grandson, Geremy Eubanks; and great-grandson, Jonah Whitley. She is survived by her daughters, Pat Eubanks of Griffin, Henrietta Eubanks of Woolsey, and Debbie (John) Biggs of Fayetteville; son, Wayne (Beth) Snead of Stone Mountain; seven grandchildren and thirteen great-grandchildren; brother, Chester (Barbara) Plunkett and sister, Tabitha (Bill) Maine, both of Fayetteville; and several nieces and nephews. A funeral service will be held Tuesday, February 6, 2018 at 11 a.m. in the Chapel of Mowell Funeral Home, Fayetteville. Burial followed at Antioch Baptist Church Cemetery, Fayetteville. The family will receive friends Monday, February 5, 2018 from 6 – 8 p.m. at the funeral home. In lieu of flowers, the family requests donations be made to St. Gabriel Catholic Church, “Breaking the Chain of Debt” building fund, 152 Antioch Road, Fayetteville, Ga. 30215 or online at www.stgabrielga.com.